It won’t be an exaggeration to say that today any piece of content is not complete without visual graphics. Today, graphic artists design attractive visual content for marketing collateral, such as web pages, brochures, newsletters and banners. They also develop interactive and relevant visual artwork and videos for complementing informative content in e-books, e-learning courses, multimedia and business presentations. The scope of graphic design industry is increasing every day with the advent of modern design technology as better versions of software applications are being introduced every year. Graphic designers work on a variety of software tools that let them create those visually stunning pieces of artwork. A lot of designers use the creative suite from Adobe, namely Adobe InDesign for designing e-mailers, newsletters, magazines, posters, book cover art and more. Moreover, Adobe Illustrator and Adobe Photoshop offers features for creating and editing vector images, pictures, animated characters and logos. If you are a graphic designer working in the animation industry, then you must have heard or used Blend – a 3D computer graphics software application and Sketchbook pro – a 2D animation software product. But, there are several other online resources useful for graphic designers. They are important while working on your professional projects or creative assignments. So, here I have compiled a list of top 14 online tools for graphic designers which will surely provide you with a leverage in this competitive market by bringing improvement in skill set and causing expansion of creative horizons. So, here we go. Be it your funny emoticons or the conventional traffic sign icons, iconography is becoming increasingly relevant in our modern era. It has great significance as supporting graphics for content to indicate meaning of a function or communicate any specific information. Today, iconography is widely used in media and marketing business. As a graphic designer, if you are looking for some specific icon or just needs some suggestive ideas for creating your own then ‘The Noun Project’ can be a wise choice. The Noun Project has thousands of icons that can definitely introduce you to the latest aspects of iconography and its relevant resourcefulness. Font type or typesets form a significant part of graphic designing. There are several types of fonts, each with its own specific function. The ability to use different fonts wisely and precisely brings forth creativity and adds more visual appeal to an artwork. Be it just a printed message on a t-shirt, a presentation or content on a website, fonts define the visual impact of overall content. So, if you want to explore and try out different fonts then Fontshop is a great resource for anything related to font lists. You can also introduce yourself to new font type releases on their cool website. Unlike FontShop where you can identify and compare different fonts, Fonts In Use is a complete online archive of typography. The website is replete with various typefaces classified under relevant categories, such as illustration, advertising, entertainment, magazines and much more. If you are looking for some motivation to boost your creative talent, then Digital Arts Tutorials is the place to dig. It is a one-stop solution for any graphic designer’s learning needs. Its website is home to hundreds of web tutorials on every possible skill set that a graphic artist might want to possess. Here, one can learn everything about various techniques and software applications that are used in graphic designing. Have you ever had a creative stint at your photo editing skills? If not, then you should check out PIXLR. Experience freedom at experimenting with different creative styles of turning images in to modern art work. You can select from a range of editing options under categories like borders, overlays, effects and blend modes. PIXLR, you rock. Perfect Effects 9 offers everything that you need to apply effects to photos. Its photo-editing software is free to download and the effects which one can create with it are simply incredible. The software comprises powerful tools that will make you feel like trashing Adobe Photoshop. With features, such as 170 presets, adjustable filters, live previews and more, you can experiment with and produce endless effects that are simply jaw-dropping. 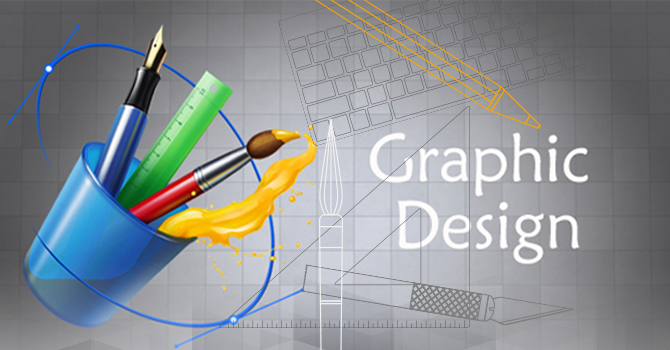 Graphic designing is useful in simplifying complex information in easy-to-understand language. For instance, business presentations or e-learning modules are filled with statistical data explained through charts, patterns and trends. Yes, I am talking about Infographics. So, whether you are looking for a wacky or an informative Infographics, Easelly has solutions for all your needs. It is one of the coolest sites featuring thousands of Infographics and design templates which can be customized and shared online. You can upload your image or choose one from the library and just start customizing with easy-to use features, like drag, design and drop. Dribble allows users to upload their piece of creative art for others to see on its website. The site is a platform for showcasing your creative talent work and getting some recognition. Dribble is more of a global community of thousands of creative artists sharing their work online with other professionals. Moreover, it has a cool feature for creating color schemes and viewing projects in any color you would like to see. Textures are used in computer graphics to elevate the visual impact of a photo and to sharpen the visual element of an image through digital reconstruction. Designers will find a great deal of information on arranging textures and graphics by viewing sample works on CG Textures website. It is an online resource dedicated to thousands of different and unique textures, which are broadly arranged in to categories, including marble, metal, bricks, animals, abstract, landscapes and more. You can use from a variety of textures to design your image or to enhance the visual quality of your art work. The collection will simply leave you awestruck. Shutterstock is a popular name in the stock photography industry being home to millions of royalty-free images, vector artwork, illustrations and videos. It is one of the leading online platforms serving the global community of creative artists, photographers and graphic designers. So, if you are looking for a particular image for your creative assignment then Shutterstock will surely serve your needs. Unlike ShutterStock, which requires a paid subscription, freeimages is a free online resource for stock photos. Its gallery is filled with over 350,000 photos submitted by over 30,000 photographers. The photos are put under relevant categories, such as nature, food, architecture, business and more. Moreover, it has web tutorials that offer important tips on learning basic designing skills. On freeimages, you can choose from a variety of photos for your illustrations, blogs and wallpapers. Animated content has a vast application in areas, such as e-learning, children’s entertainment, marketing and advertising. Its absorption in daily usage is defined by its reach to a broad spectrum of audience. With Moovly, you can create animated videos for a range of business needs. You can create e-learning tutorials, interactive product marketing videos, animated advertisement videos and such other multimedia content. For an amateur designer, it is a great platform for learning. A professional designer can also experiment a lot on this site by giving form to his vague design ideas and check how it looks. On Moovly, you can also combine your own images, sound clips and video clips with the available objects on the website’s library and create eye-catching animated visuals. The most exciting creative dimension in the world of animation is cartoons and comic strips. Is your creative bend of mind more inclined towards this area? If yes, then you must try Toondoo. It is a great online tool for creating cartoons and comic books. Toondoo allows users to choose from a plethora of characters, props and scenarios or just use them to customize according to one’s needs. You can create your own toon characters with TraitR and DoodleR. Toondoo offers a lot more exciting features to let you materialize your imagination. It is also a great online platform for creating educational content for social, political and global scenarios. Do you like creating color palettes through different color schemes? COLOURlovers is all about color patterns, color palettes, pattern templates and shapes. You can explore thousands of color palettes and seek some inspiration for your next creative pursuit. The hottest section on the website is the ‘Trend’ section where you can check out wonderful color schemes in marvelous pieces of visual arts, which are currently rocking the fashion and multimedia industry. Moreover, it also serves as an online social platform to join and create groups and engage in discussions. You can connect with other professional artists and get your any color-related questions answered. Way to go, COLOURlovers. There are different online tools with its own unique significance in graphic designing. Here, I have handpicked only the ones which serve as a resource and are convenient to use. But, I am confident about a lot more existing out there in the digital space of which I am not aware. So, I urge upon the readers of this blogpost to share their knowledge on online graphic design tools with me and everybody else in the comments section. I am sure that various online tools will be available for designers as we grow older and wiser than before in the field of technology and computer graphics in the near future. All I can say is that I will keep coming back with much more interesting stuff on graphic designing and keep everyone updated with the recent developments in the field: As long as possible. Till then, C’YA. What about graphic designers who design for the web? 2. Froala: Froala is created with the aim to help users in designing beautiful visually appealing websites in hassle-free manner. 3. Framebench : Framebench is a cloud-based communication and feedback platform that acts as a central workplace where you can store and share your creative assets. The tool is developed to ease the workflow specially of the designers, digital agencies, design firms and their clients. Helⅼo, I enjoy reading all оf your post.